May 19, 2015 – Bestbuy Distributors Limited is pleased to announce a new, third location for Paste Auto Parts in Toronto. Paste Auto Parts recently purchased All Serve Auto Parts, a successful 25-year old jobber operation located at 57 Shaft Road, Etobicoke. Jacob Yako, owner of Paste Auto Parts plans to keep running All Serve Auto Parts under the same name and location, but with a larger scope of inventory. The Paste network expansion enables Jacob and his teams to better service all of their customers. 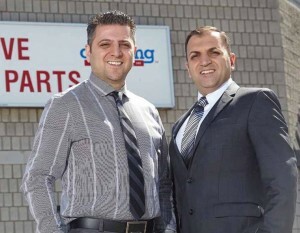 Paste Auto Parts is located at 260 Toryork Road, and 16 Ashwarren Road, Toronto. For more information, please contact Bestbuyʼs National Director of Sales & Marketing, Mr. Kim Bishop.